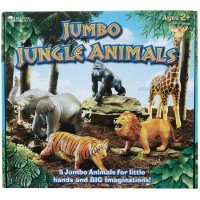 Play a forest expedition, a zoo, or pretend rangers with this Jumbo Forest Animals toy figure set! 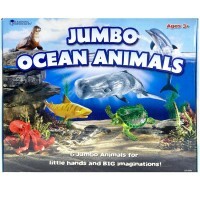 Nowadays children know more about exotic animals than about wild animals that leave in our nearby forests. 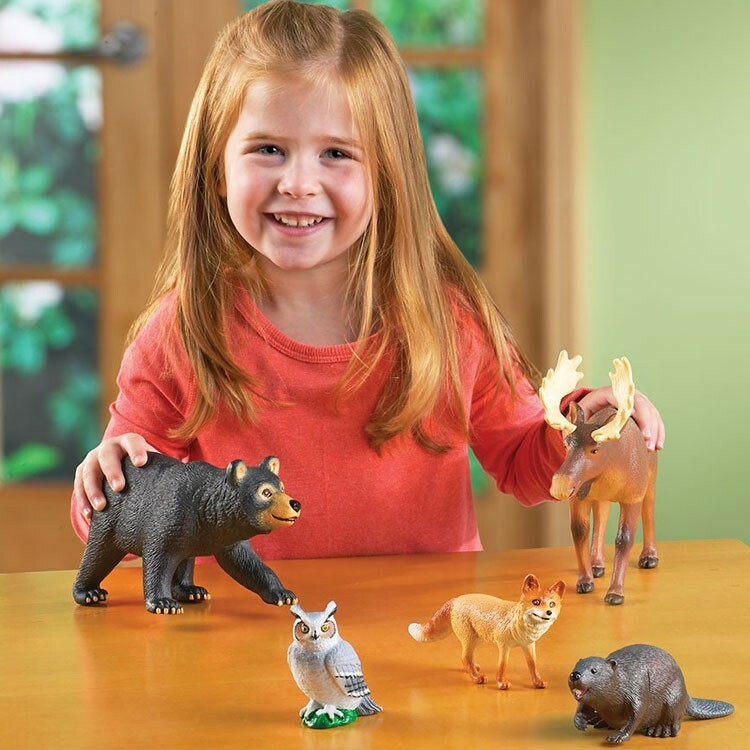 Learning Resources thoughtfully covers this knowledge gap by creating a beautifully designed set of forest animal figures. 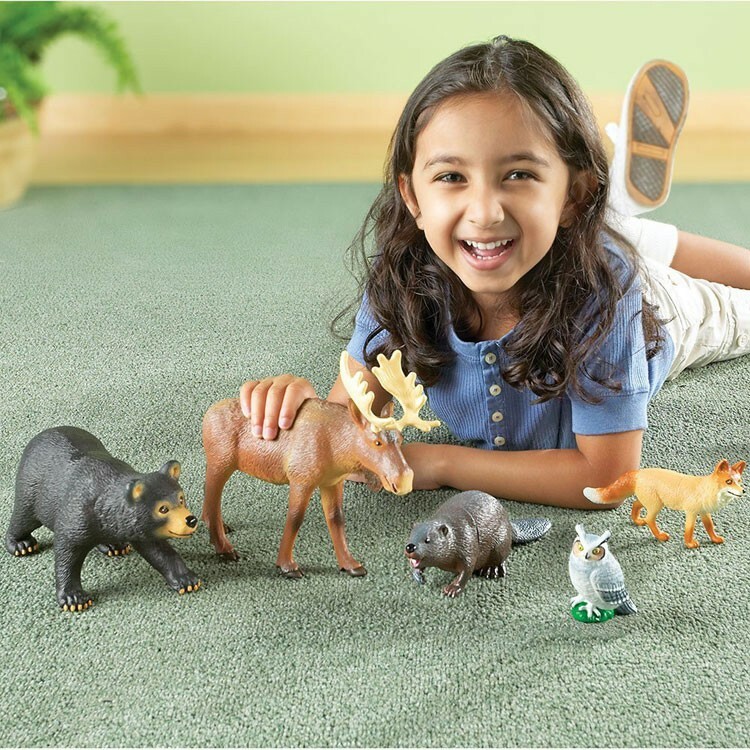 Meet 5 animal neighbors from the forest and play pretend zoo or forest at home or in a preschool classroom. 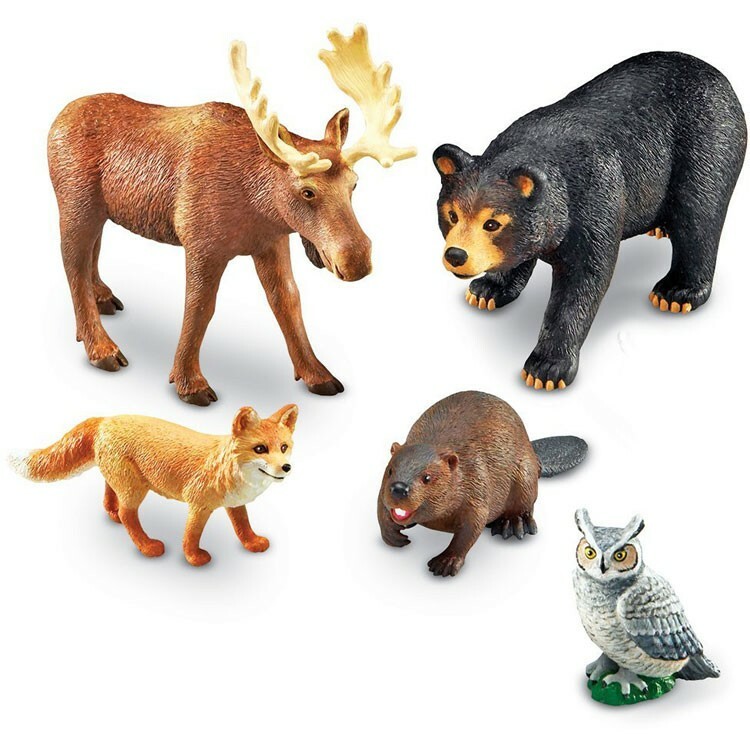 Jumbo Forest Animals 5 pc Wild Animal Figurines Set features moose, bear, fox, beaver and owl. 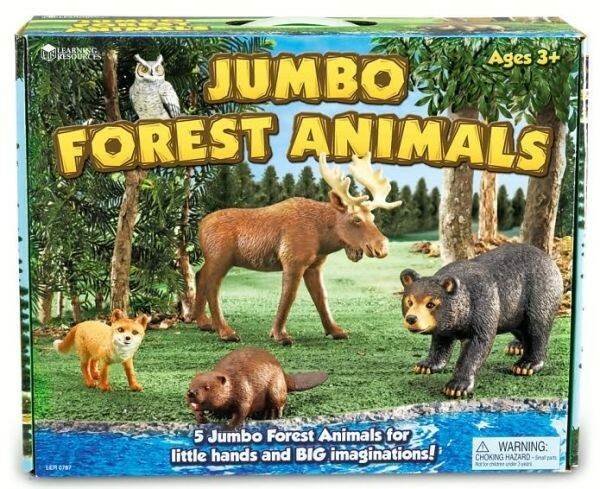 The forest animal figures are jumbo-sized, amazingly detailed, and made to last for years of play. 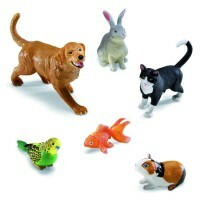 This kids animal figurines set comes with Activity Guide that presents fun facts about each animal and provides learning activity ideas. 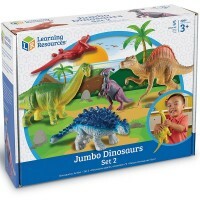 Made of durable non-toxic plastic and finished with kids-safe paint, the jumbo toy animals will inspire curiosity and promote language development for young children. 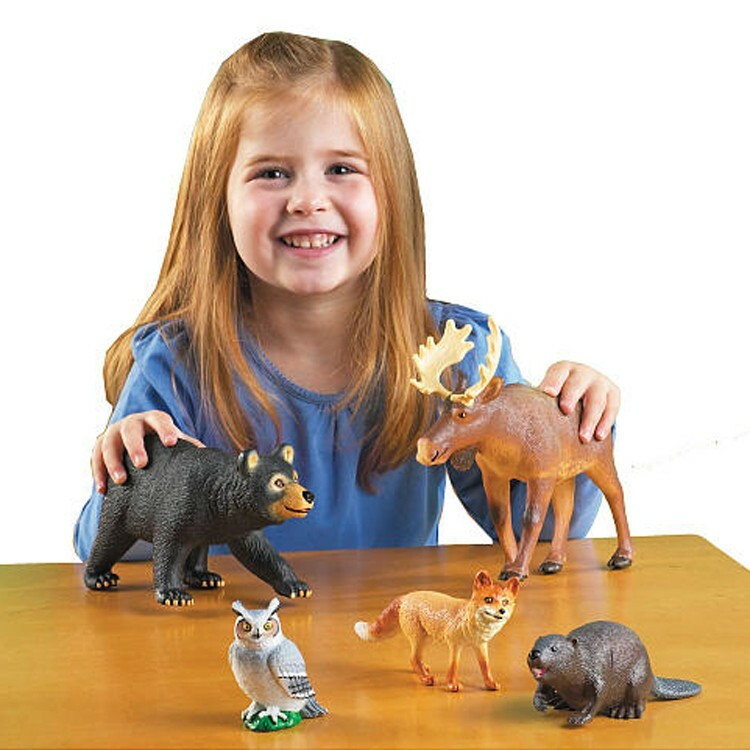 Jumbo Forest Animals 5 pc Wild Animal Figurines Set can be used alone, or combined with other jumbo animals set from Educational Toys Planet. 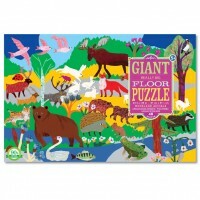 Largest animal figure (moose) measures 8.75 x 7.5 inches. 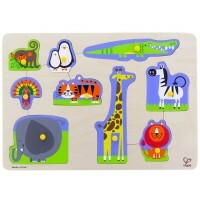 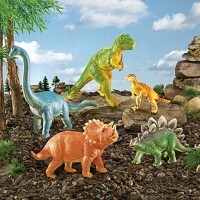 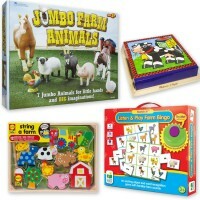 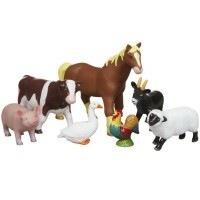 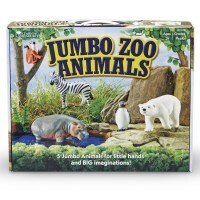 Dimensions of package 10.75" x 13.5" x 3.75"
Write your own review of Jumbo Forest Animals 5 pc Wild Animal Figurines Set.